Whether you're a podcaster, musician, or budding filmmaker, capturing high-quality audio is key when creating content. IK Multimedia's iRig Mic HD and iRig Mic Field give you mono and stereo options, respectively, in compact and easy-to-use accessories for your iPhone. The devices work hand-in-hand with IK Multimedia's software and third-party apps to raise the audio bar. Many of today's best smartphones have incredible audio and video capabilities. The new HTC U Ultra, for example, has four microphones to help people capture multidimensional sound as well as help strip out background noise. The results are great. Despite such features baked directly into some phones, however, nothing beats a dedicated microphone for recording the best possible sound. 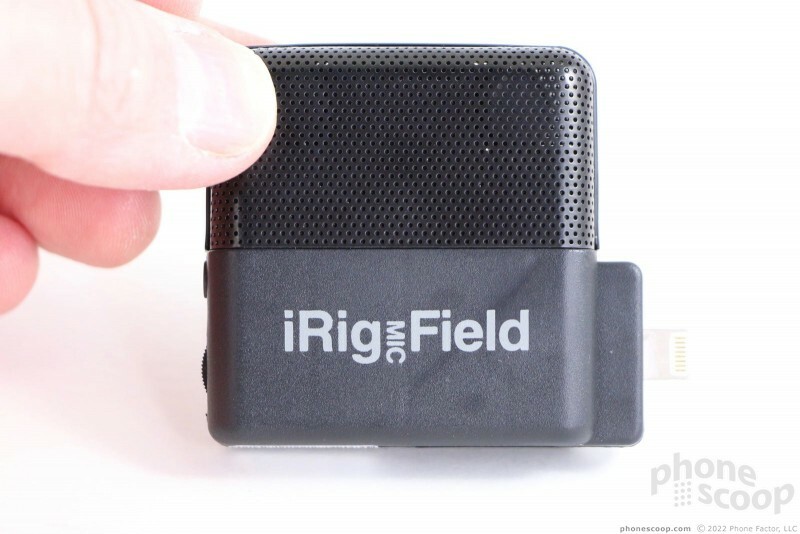 IK Multimedia makes a handful of microphone accessories; we recently tested the iRig Mic HD and the iRig Mic Field. 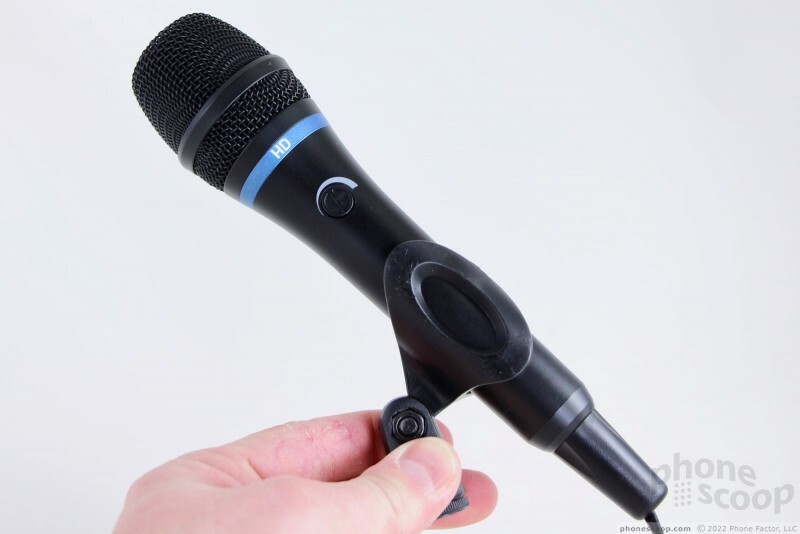 The former is a traditional microphone meant for podcasters, musicians, and even journalists, while the latter is more for movie makers and those seeking stereo. Both plug directly into the Lightning port of your iPhone or iPad, allowing you to send pure digital sound to the app of your choice. 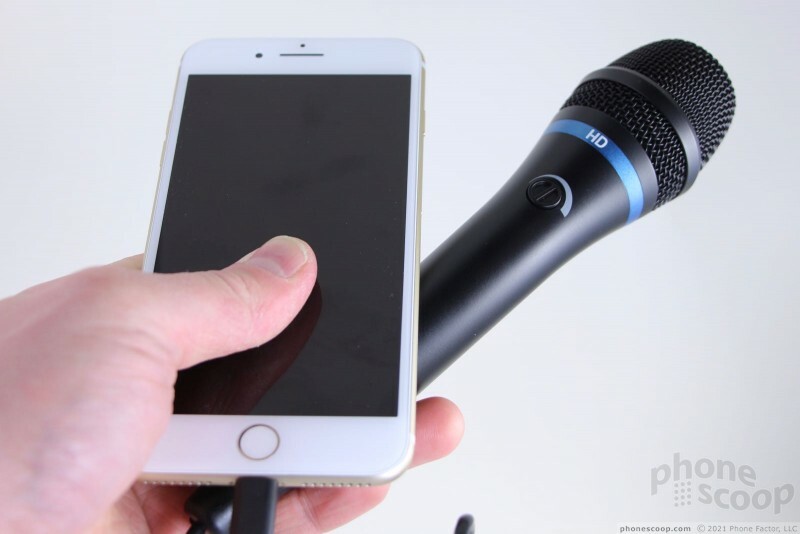 We tested both mics under a variety of use cases to see just how well they work. 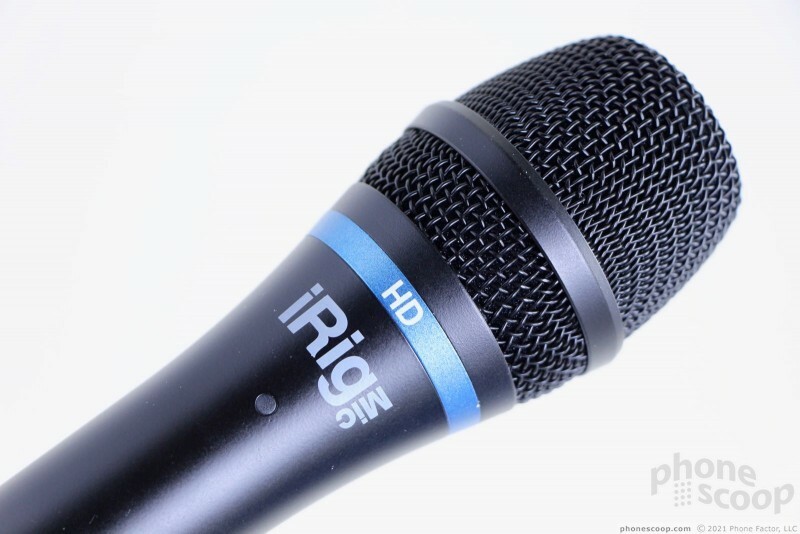 The iRig Mic HD is exactly what you think a microphone should look like. It's an old-school mic much like those held by sportscasters on the sidelines of games or singers when belting out some tunes on a Friday night. It fits most any mic stand and comes with its own holder. Metal construction means it is heavy, but also high quality. This is no plastic toy karaoke mic; it's the real deal. A fine metal mesh covers the foam on top and protects the actual mic sensor. It's unremovable. A gain control on one side allows you to adjust the input level and a light on the other side lets you know when the mic is on. 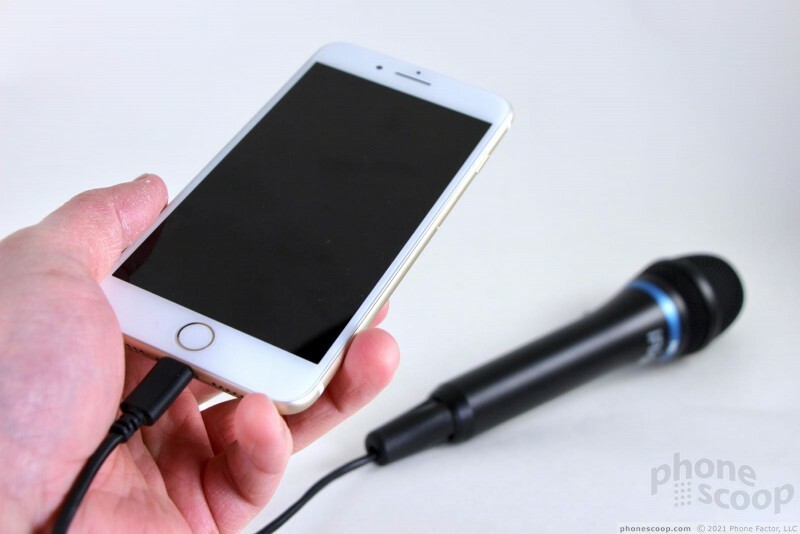 The mic draws power from your iPhone or laptop, so no batteries are needed. That's a bonus. Plugging it in automatically turns it on. The kit includes a Lighting cable for mobile devices and a USB cable for Macs. It truly is plug and play. I appreciate that all the cables are provided, and the cables are plenty long at about five feet. 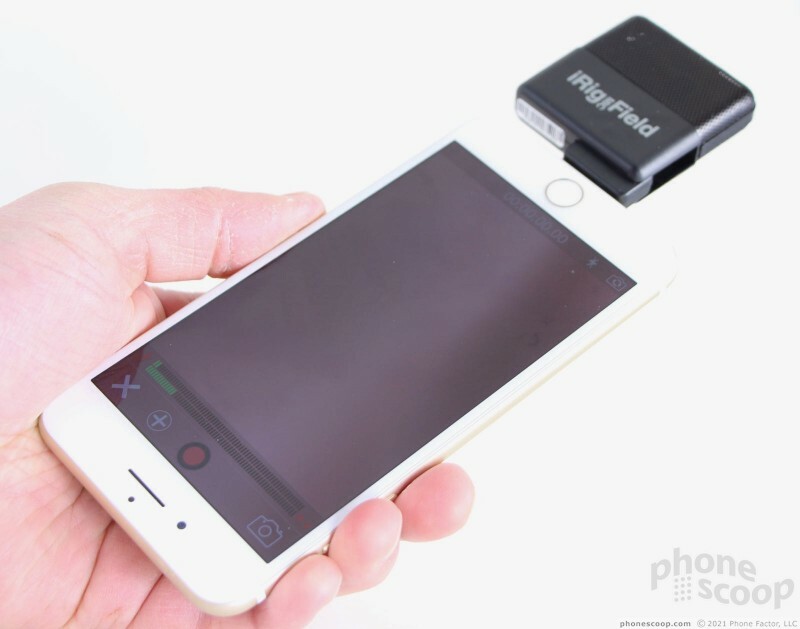 You can easily set your iPhone on a tripod, attach the Mic HD, and then step back with the mic to record on-the-scene videos just like the local TV news. The Mic HD also includes a leather carrying pouch to keep it safe when traveling. 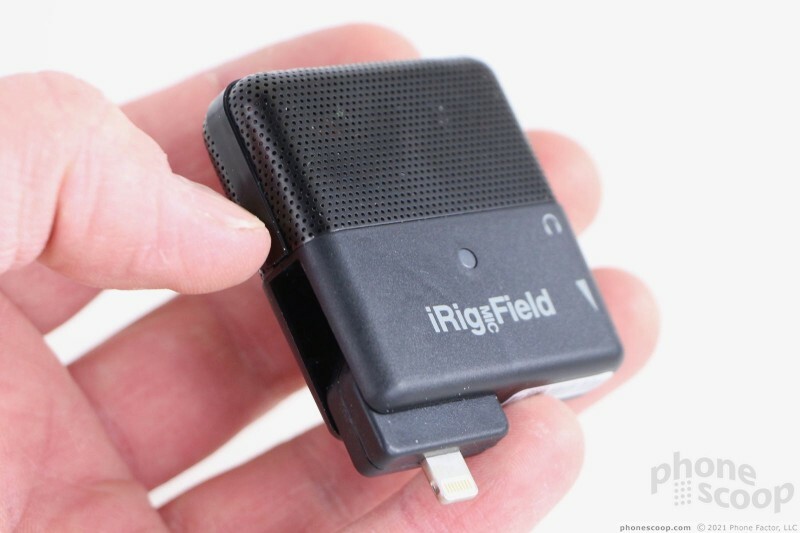 The iRig Mic Field is small, square, and rather odd. 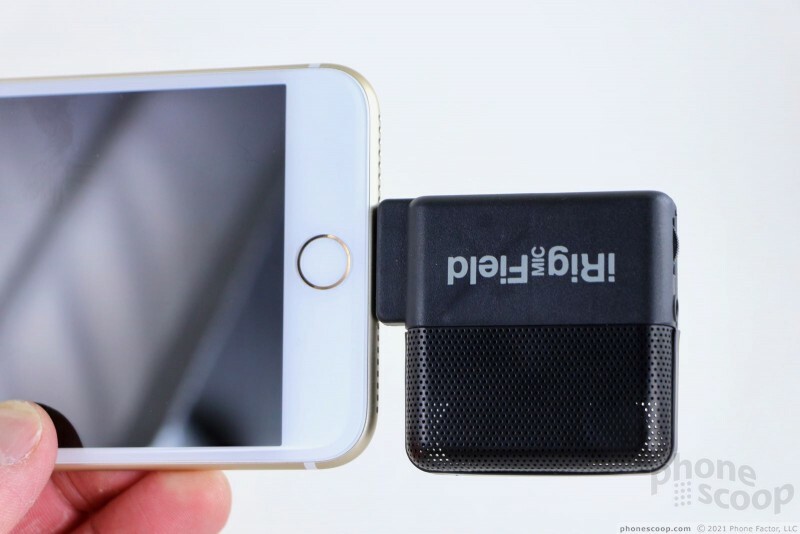 It plugs directly into the Lightning port of your iPhone or iPad and features a swiveling hinge so you can capture stereo sound correctly whether the phone is held vertically or in landscape. It's incredibly compact and light. My biggest complaint about the form factor is that it cannot be used with most cases. The Lightning connector and swivel hinge rest flush against the bottom of the iPhone, meaning it won't fit if the phone has a case. 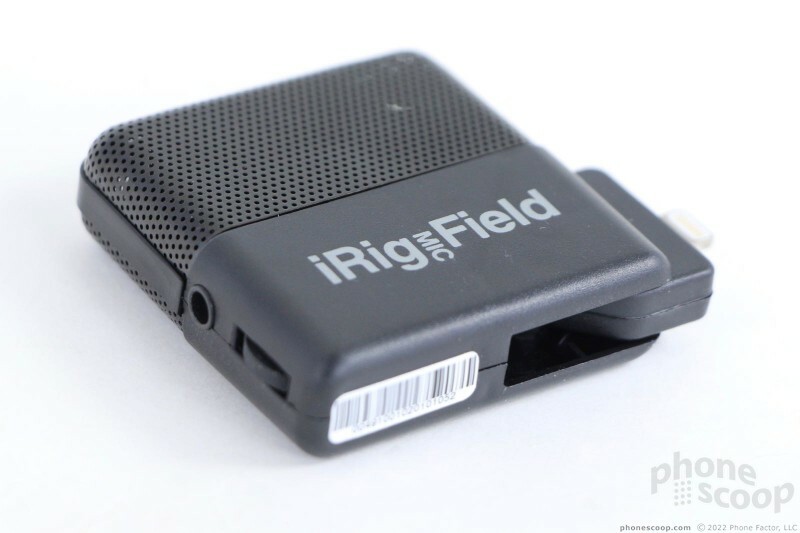 The business end of the iRig Mic Field is formed by perforated metal, which covers the two microphones. The other half is made from plastic. There's a multicolor LED on one side so you can see your levels. A gain control is built into the edge of the microphone and the rotating dial spins nicely. A 3.5mm headset jack offers a monitor function so you can hear what it hears. That's it; it's pretty simple. The Mic Field is a little awkward to use. Where the Mic HD attaches via cable, the Mic Field's direct attachment means you have to be a bit more careful when handling your iPhone. 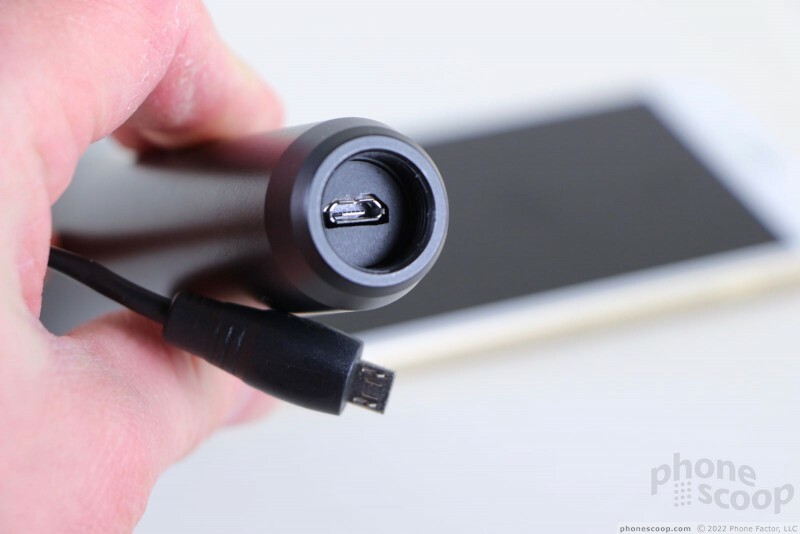 It also doesn't attach very firmly, meaning only the Lightning port is holding the mic to the phone. I wish it were more securely affixed to the phone. 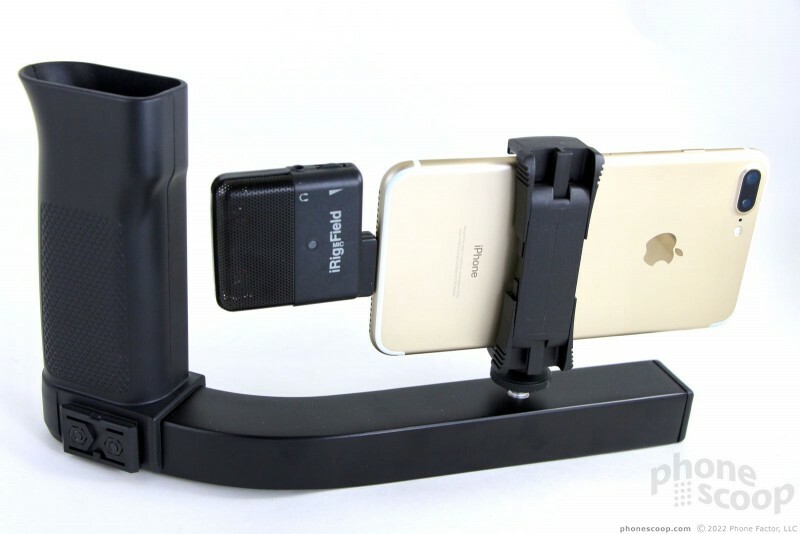 If you're recording video, your best bet is to mount the iPhone to some sort of grip or tripod. 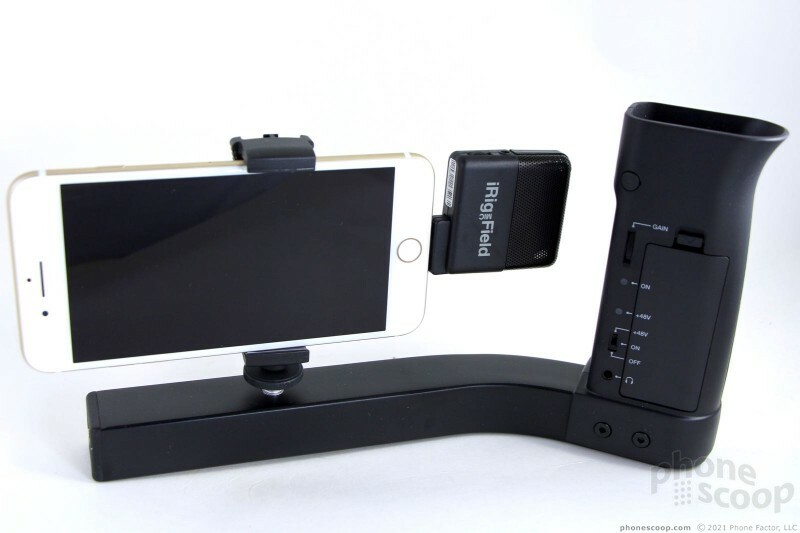 IK Multimedia makes a variety of grips and mounts, such as the iKlip Grip Pro and iKlip A/V. 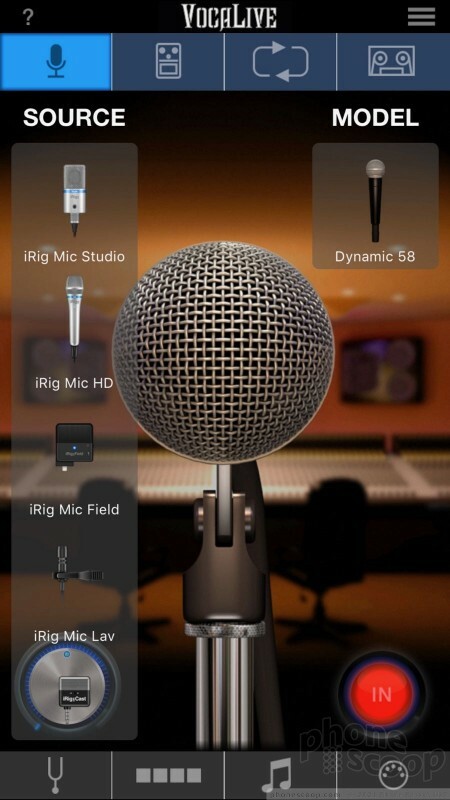 Both the iRig Mic HD and iRig Mic Field work with IK Multimedia's various apps (AmpliTube, VocaLive, iRig Recorder), Apple's apps (GarageBand, Voice Memo, Music Memo, iMovie, and the native video camera) as well as any other app that records audio (Facebook, Instagram, etc). 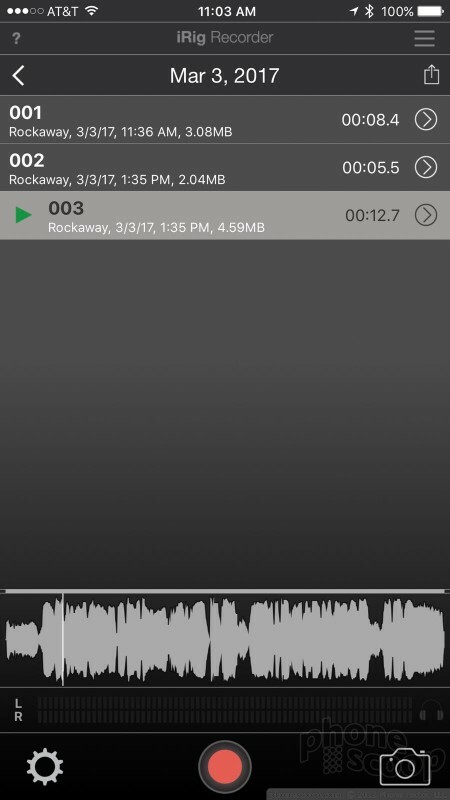 I tested the mics with a variety of apps to see just how well they work, but for the purposes of this review I'll concentrate on IK Multimedia's apps. 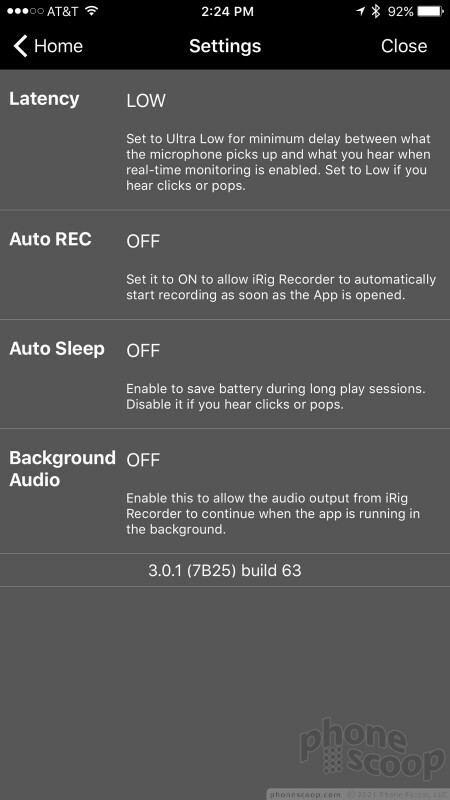 iRig Recorder is a fairly basic audio recording app. 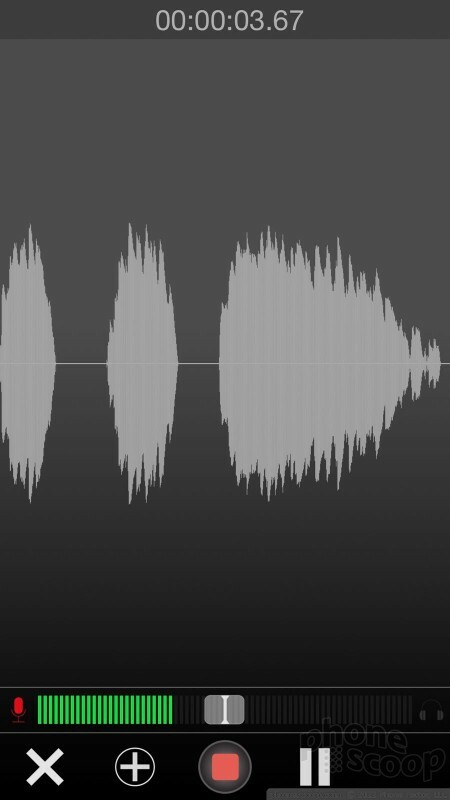 Simply plug in the mic of your choice, hit record, and away you go. 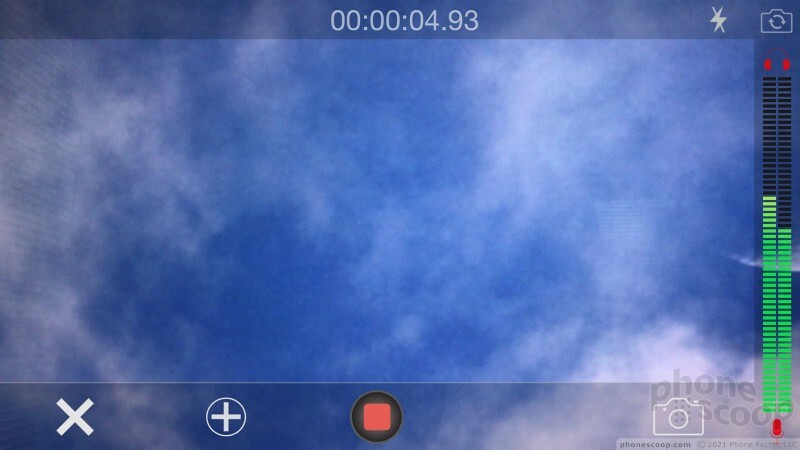 A big software button at the bottom of the screen makes it easy to start and stop recordings. 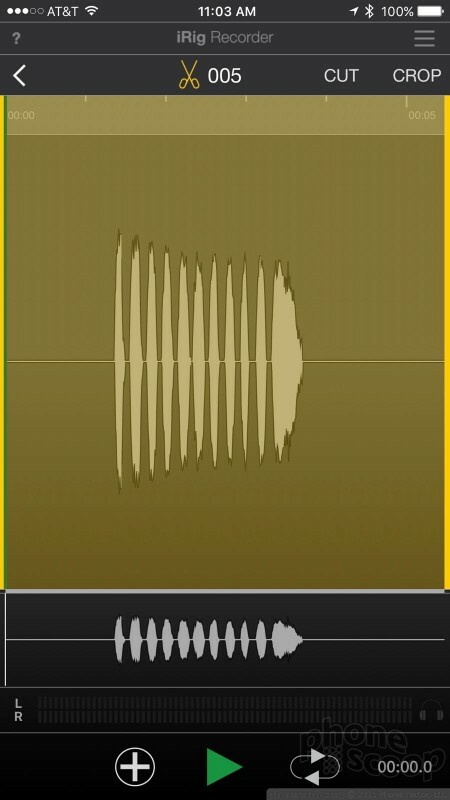 The app shows an audio waveform as it captures audio and can record for as long as you want or need. 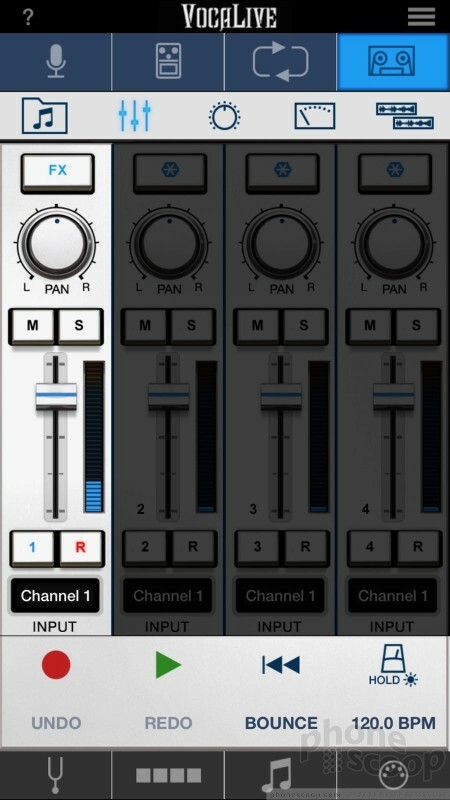 A camera button in iRig Recorder turns on the camera and allows you to record audio and video together. The attached mic supplants the iPhone's built-in microphones. 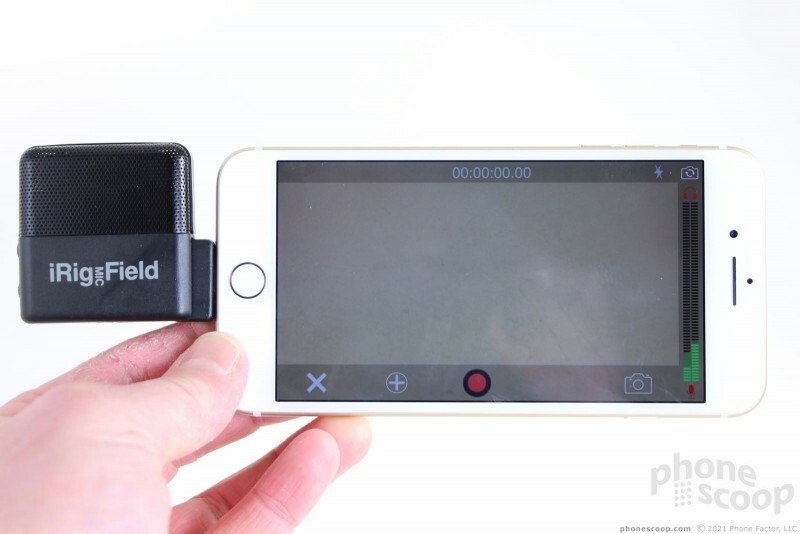 The video recording interface is as basic as it gets. 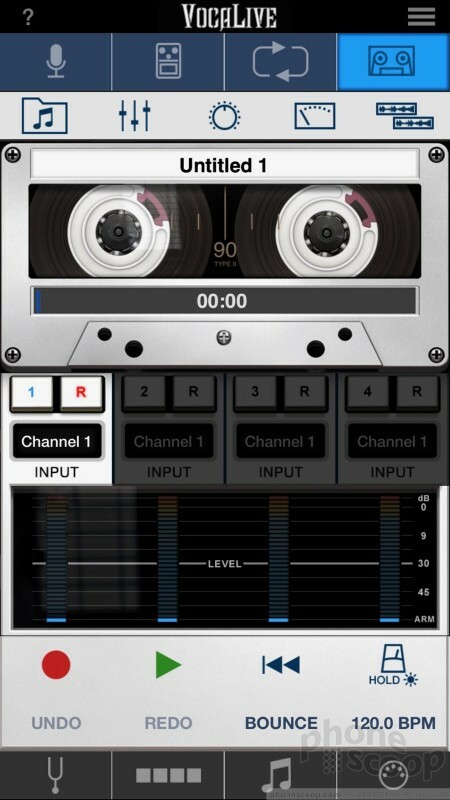 About all it does is let you record and see your audio levels as you go. You can switch between the front and rear cameras when capturing video. Recordings are automatically cataloged by date and time, but you can rename files anytime, as well as share them via email, message, and social networks. Some basic settings allow you to adjust the sample rate, stereo/mono, and video capture quality for the front and rear cameras. 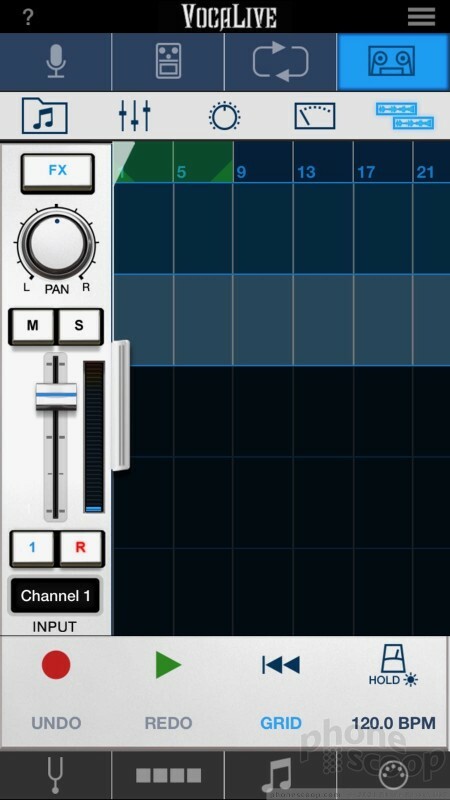 After you've finished recording, you can perform some basic edits, such as cropping, looping, and applying effects. Basic effects are included, such as optimizing tone, pitch shift, speed up/down, and cleaning up the sound. 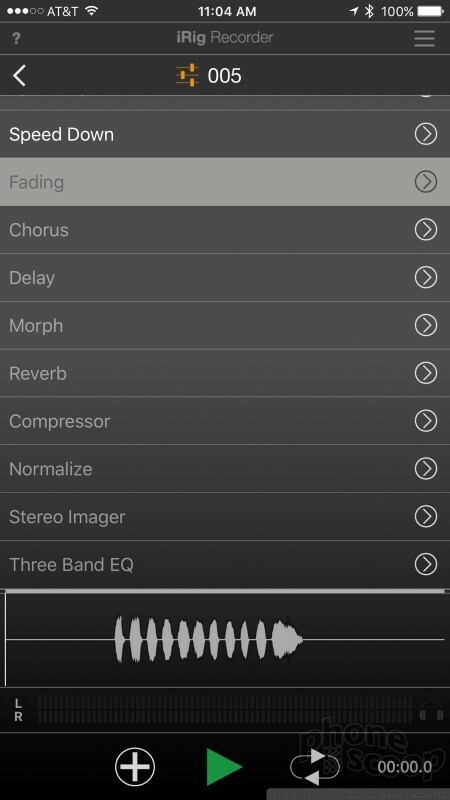 Advanced effects — such as fade-ins, chorus, delay, compressor, reverb, three-band EQ, and others — require in-app purchases. 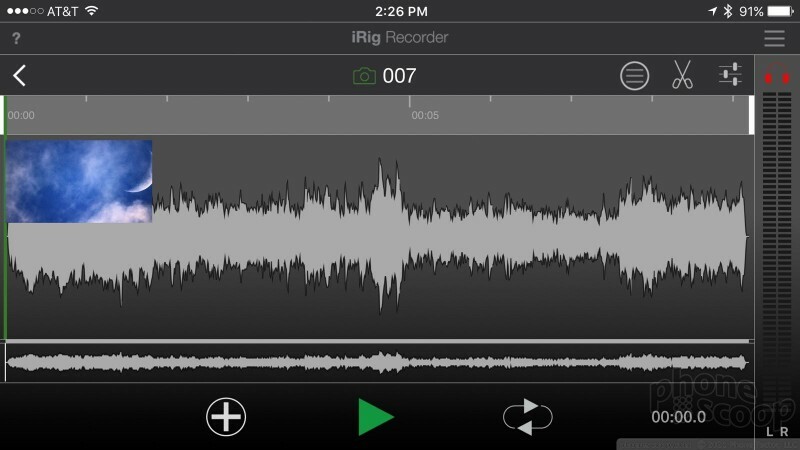 For a basic recording application, iRig Recorder offers plenty of features for free. It worked with both mics flawlessly. VocaLive is a bit more involved and bakes in elements of IK Multimedia's AmpliTube application. It is clearly meant for vocalists looking to lay down some tracks, more so than podcasting. 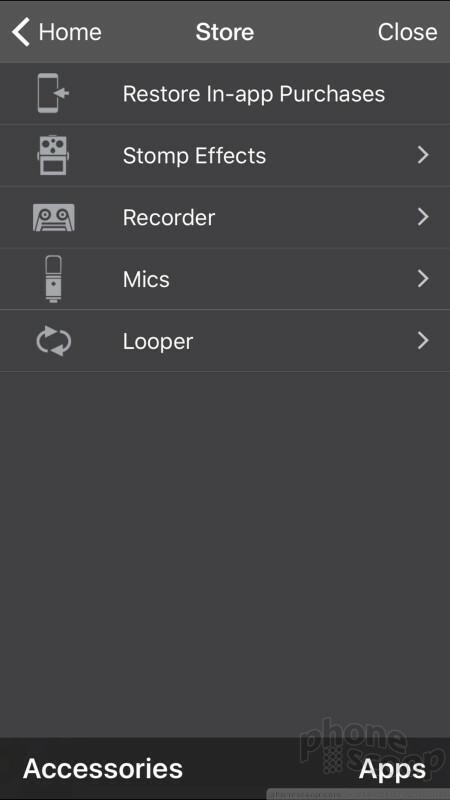 The first screen lets you select the type of real mic you're using (or select the built-in mics) and then apply “digital mics” to adjust the sound. Only one digital mic is included. If you want more, prepare to spend money on in-app purchases. Honestly, with either the Mic HD or Mic Field, you don't need the digital mics. 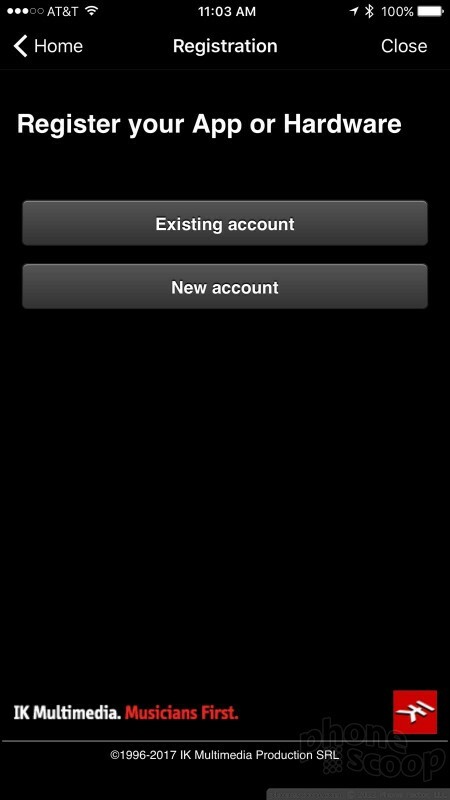 The main screen also lets you adjust input levels. 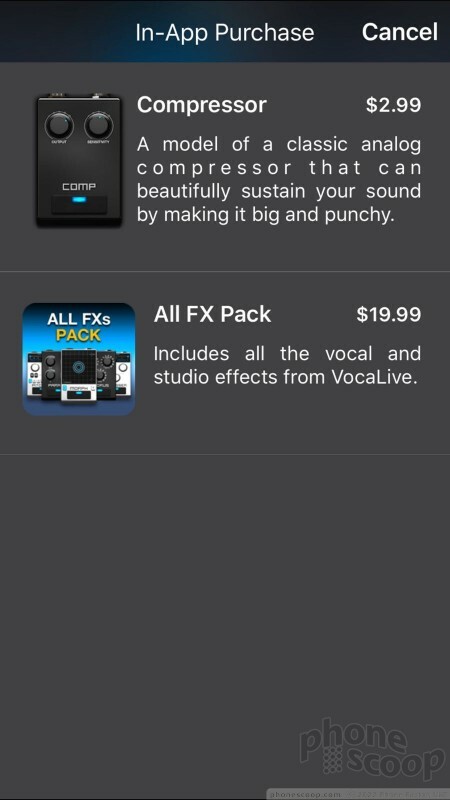 Like AmpliTube, you can add in effects in VocaLive to tweak the sound. Only a single effect (reverb) is included. 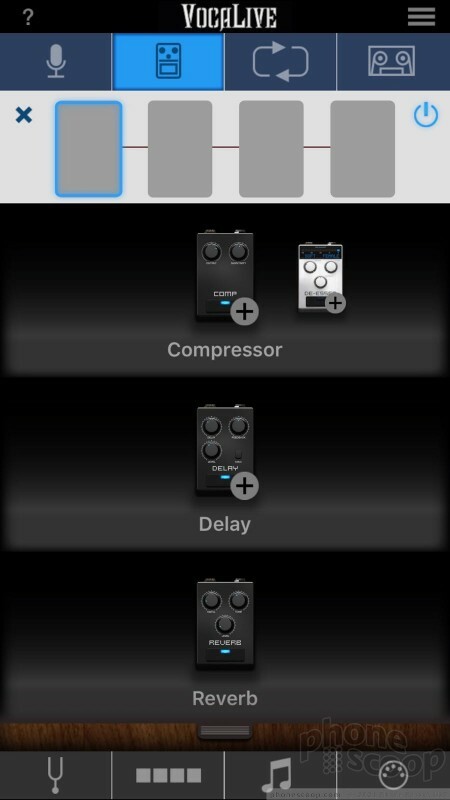 If you want a digital compressor, delay, chorus, or EQs you'll need to pay extra. I do like some of the basic tools. 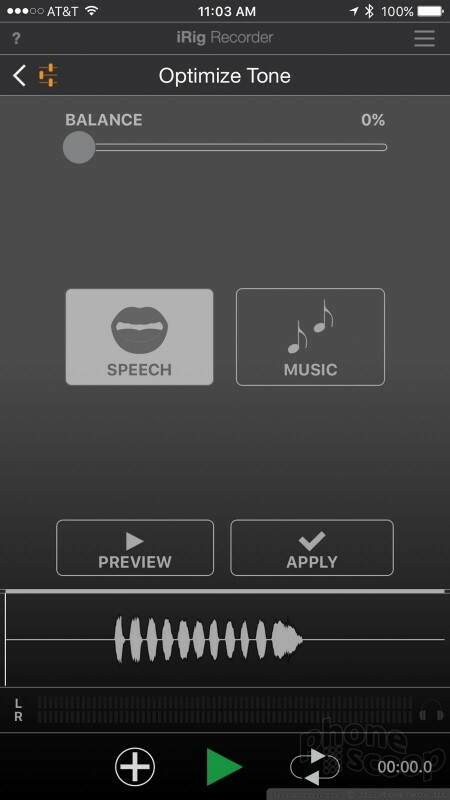 For example, VocaLive includes a digital pitch pipe so you can hear the key you're supposed to be singing in. 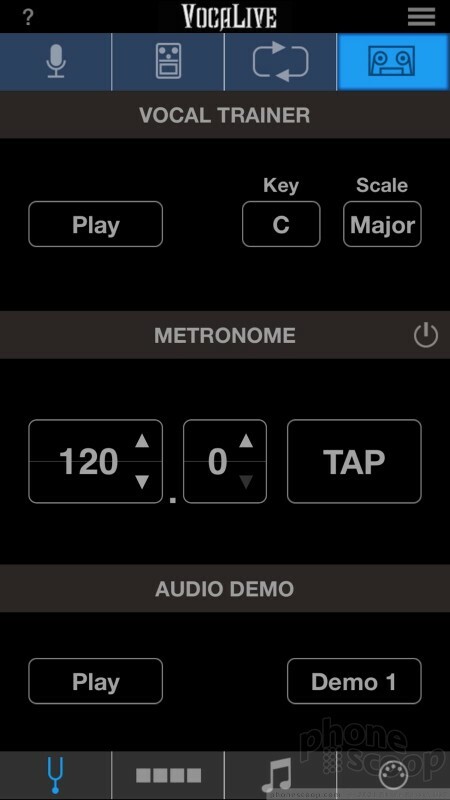 It also includes a metronome and allows you to configure custom presets. 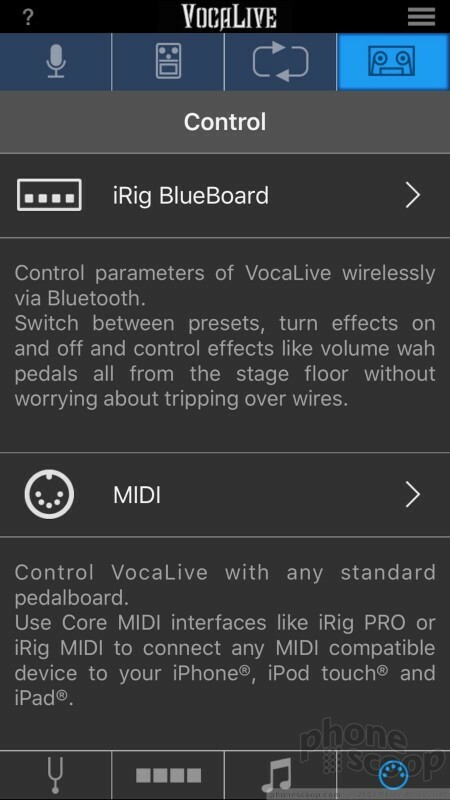 The app features an advanced looping tool, as well as support for third-party MIDI controls for connecting to other gear, such as the iRig Pro Duo. 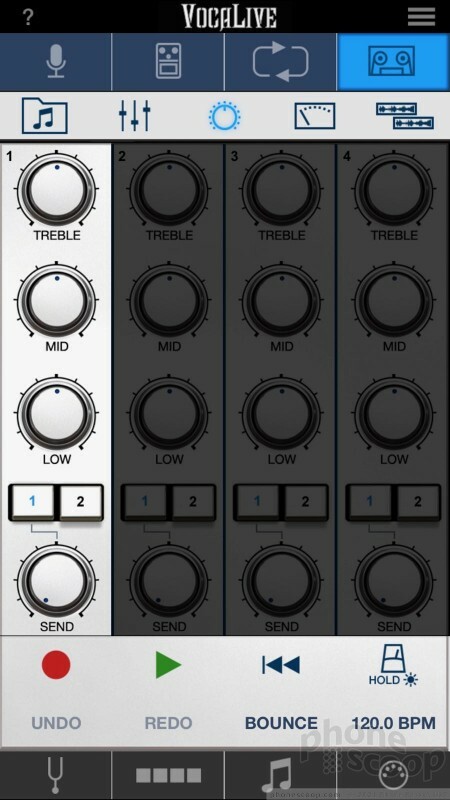 VocaLive only allows you to capture one track at a time, which mirrors AmpliTube's capabilities. 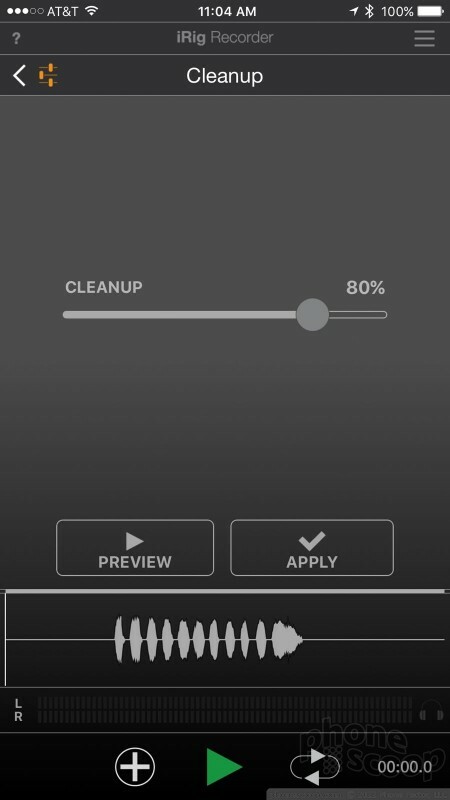 You can patch a single mic into your iPhone and record whatever you want. 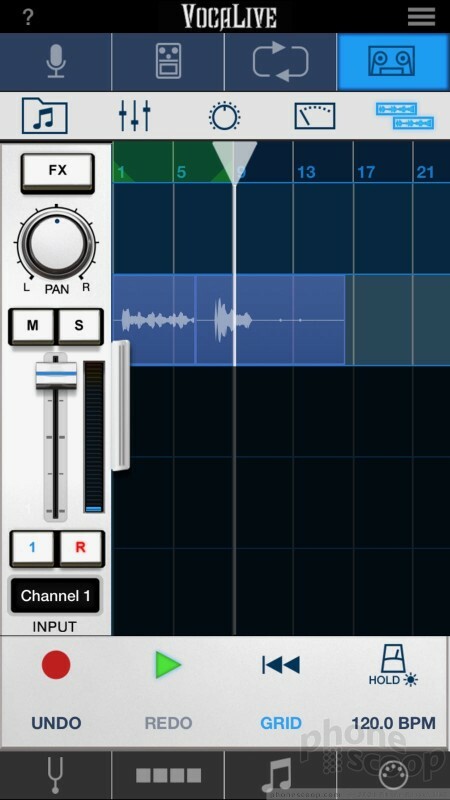 That said, the recorder tool is pretty good. 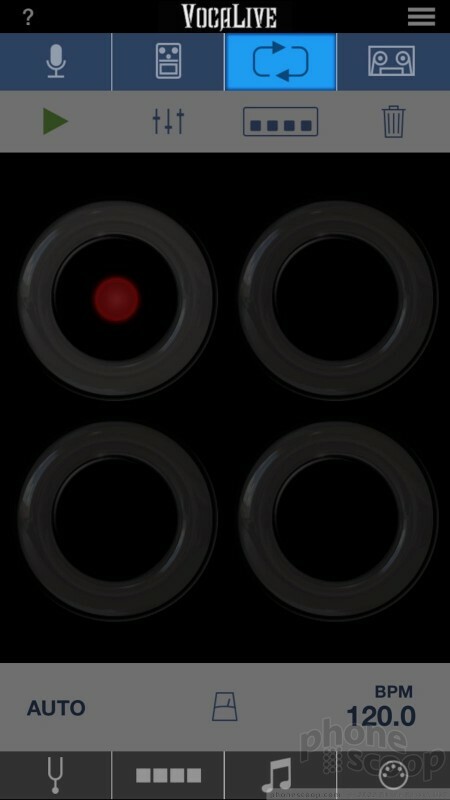 Each input channel gives you control over pan, mute, levels, and such. 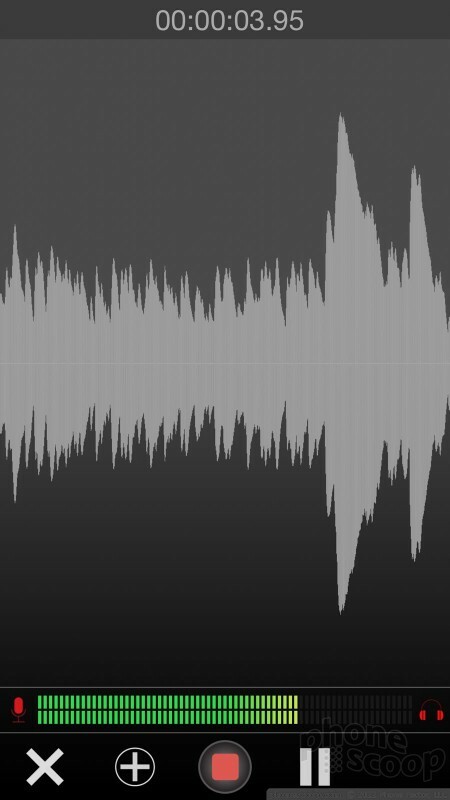 You can fine-tune the sound of treble, mids, and bass, as well as control just how prominent effects are once applied to the recording. 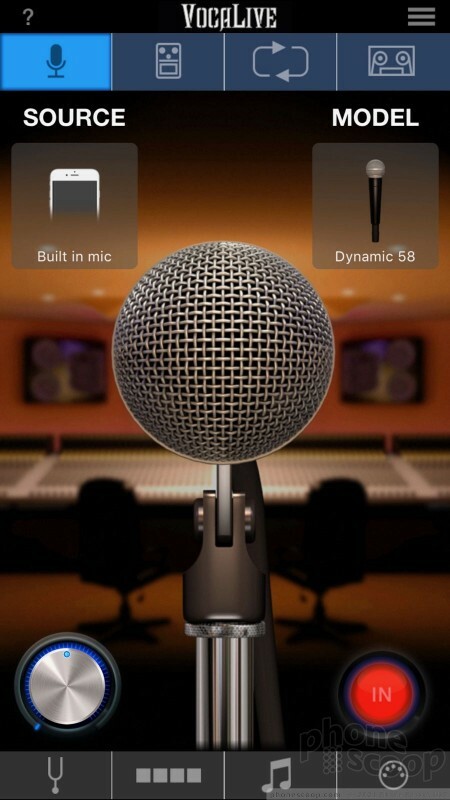 The two mics' ability to work easily and seamlessly with Apple's own apps is great news. All you need to do is plug the mics in and start recording. Apple's software is smart enough to switch from the built-in mics to the iRig Mic HD or Mic Field in order to capture audio. If you're a podcaster, the microphones are compatible with Pocket Casts, Stitchers, Play Music or whatever podcasting app you prefer. 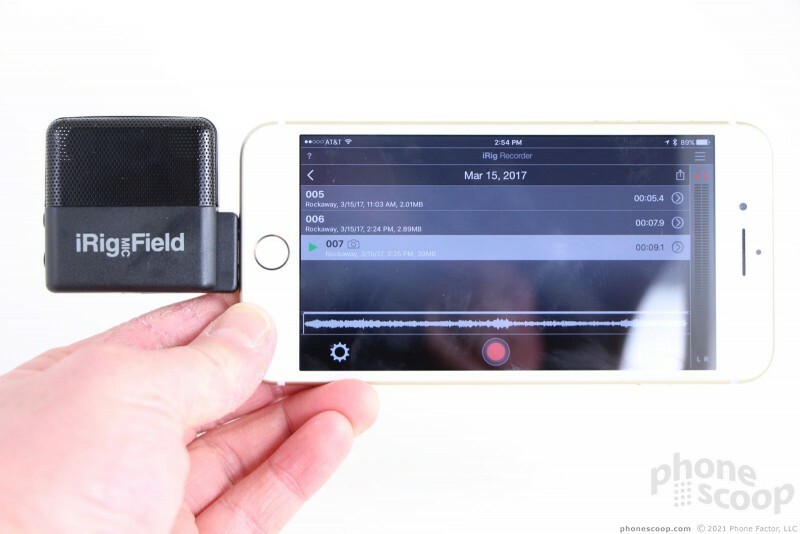 The mics also work with YouTube Live, Facebook Live, Periscope, and other live-broadcasting tools for the budding reporter. 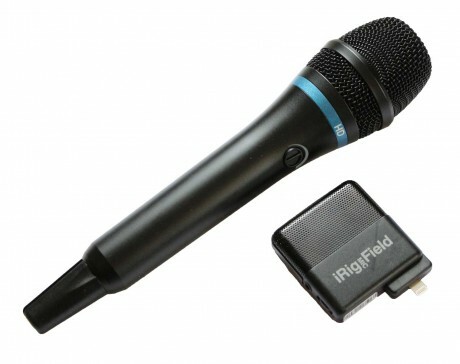 The iRig Mic HD and Mic Field both record 24-bit sound at either 44.1 or 48 kHz sampling rates. 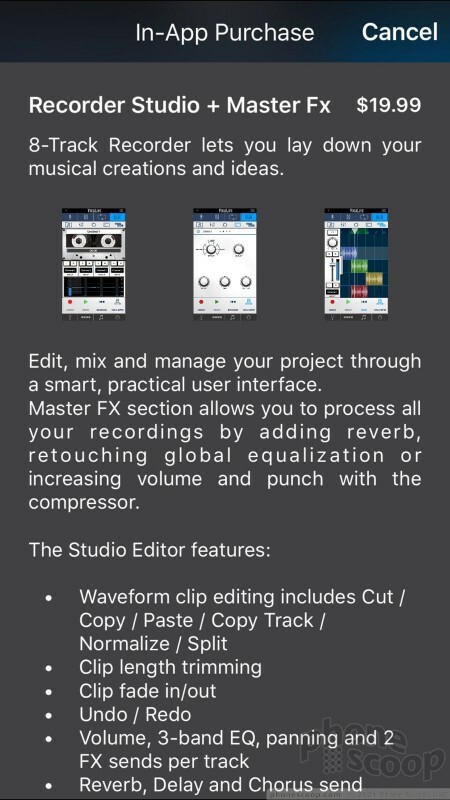 Each includes its own integrated preamp and analog-to-digital converter, meaning you get pure digital sound ported directly to the app of your choice. These mics are the real deal. I tested the Mic HD in several different settings. The one configuration that impressed me most was using it to record my guitar. 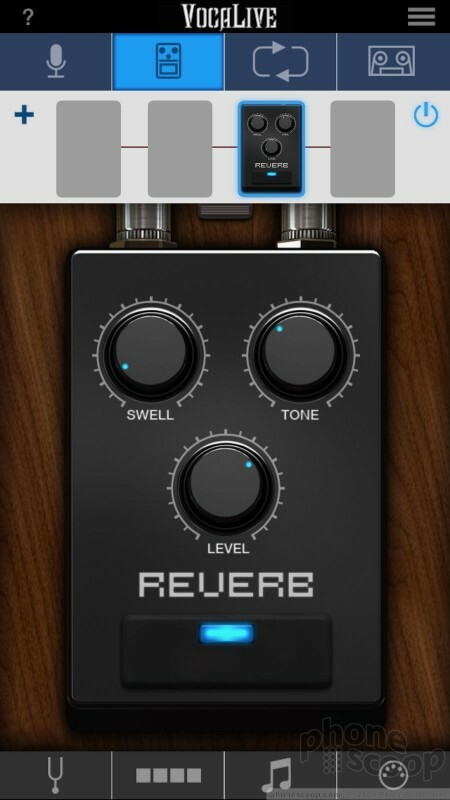 I've connected my guitar directly to my iPhone via devices such as IK Multimedia's own iRig Pro Duo, but as I noted in my review of that device the sound is clearly coming from a digital amp. Using a real microphone to record sound directly from my favorite amplifier is a whole different ballgame. The Mic HD produces the best, most accurate sound I've heard from any mobile recording/music accessory. The quality and fidelity is impressive beyond words. As for recording simple vocals, the Mic HD is also very, very good. The range and clarity are excellent. 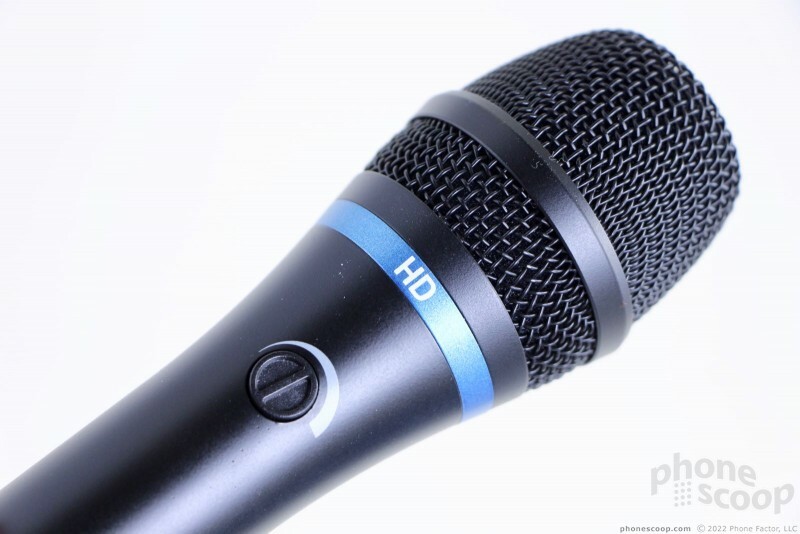 Whether you're speaking in your warm radio personality voice or shrieking alternative rock anthems, the Mic HD delivers. Both the iRig Recorder and VocaLive apps take the raw sound you've captured and refine it further into broadcast-quality audio. The iRig Mic Field is a bit of a different animal thanks to its stereo sound capture. A few tech specs worth noting: It includes two cardioid electret condenser capsules that are angled away from one another to capture the widest possible sound field. 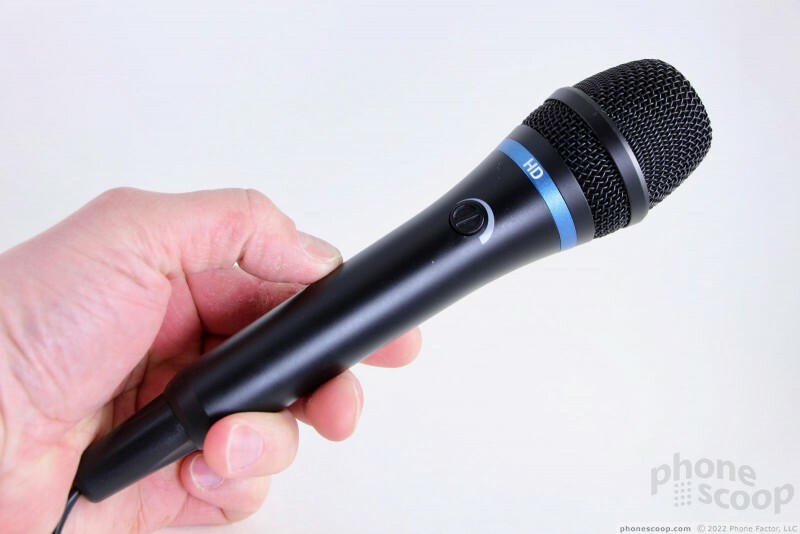 It also carries a maximum 115dB SPL rating, which means you can use the Mic Field to capture amazing, clear sound at the next concert you attend, no matter how loud it is. As fine a job as Apple did in designing the mics in the iPhone 7, it simply doesn't compare to the sound captured by the iRig Mic Field. 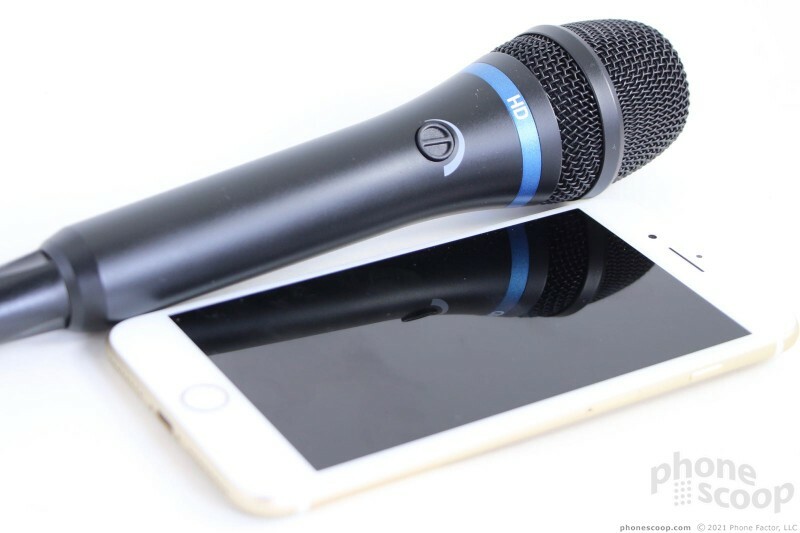 IK Multimedia's stereo microphone is far more sensitive, produces a wider sound field, and delivers clarity the iPhone's mics simply can't match. I used the Mic Field to record my guitar, my kids playing basketball, and a handful of other scenarios. I was pleased with the audio each and every time. 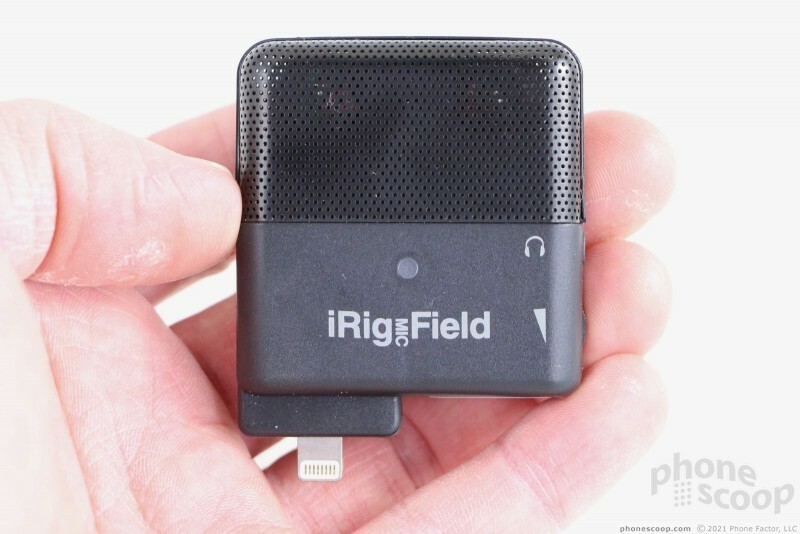 IK Multimedia did a fine job with the iRig Mic HD and iRig Mic Field. For people seeking higher-quality audio for their videos, podcasts, YouTube videos, or musical experimentations, these two accessories have it where it counts. The iRig Mic HD is a traditional mic that's best suited to podcasts and vocals, though it also works well for recording amplified instruments, voiceovers, and the like. It's a little heavy to have with you all the time, but you can't beat the clarity this mic offers. It costs $130. 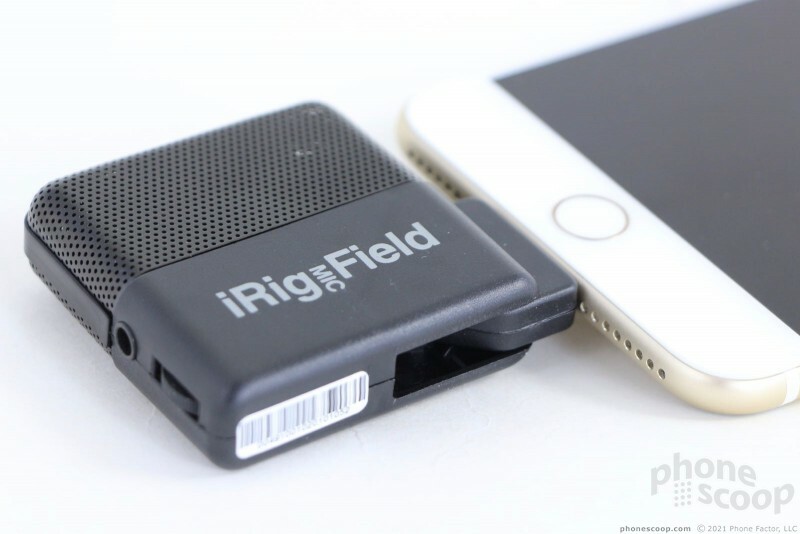 The iRig Mic Field is one of the most compact stereo mics you'll find. It's small and easy to carry, does a fine job at creating wide sound stages, and can handle nearly every recording environment. I wish it weren't so awkward to attach to the iPhone, but I can't complain about its performance. It costs $100. Together with software from IK Multimedia, these microphones can dramatically improve your audio-centric projects. Further, their support for many native Apple media apps means you can stay in the creative zones you're used to. 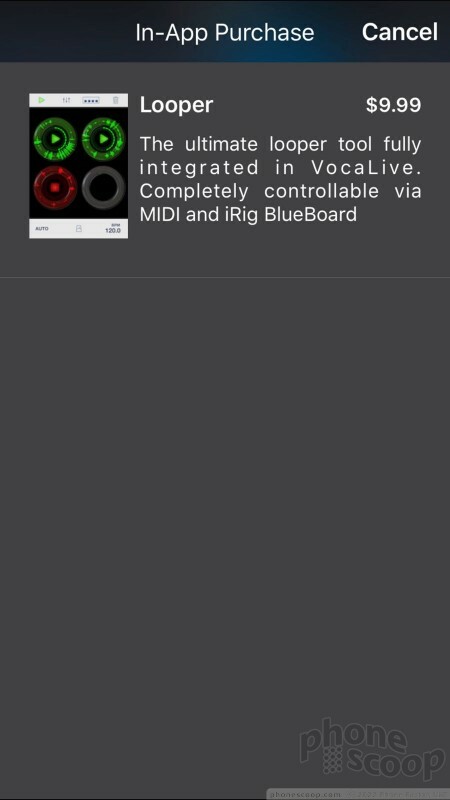 iRig Mic HD with Android? 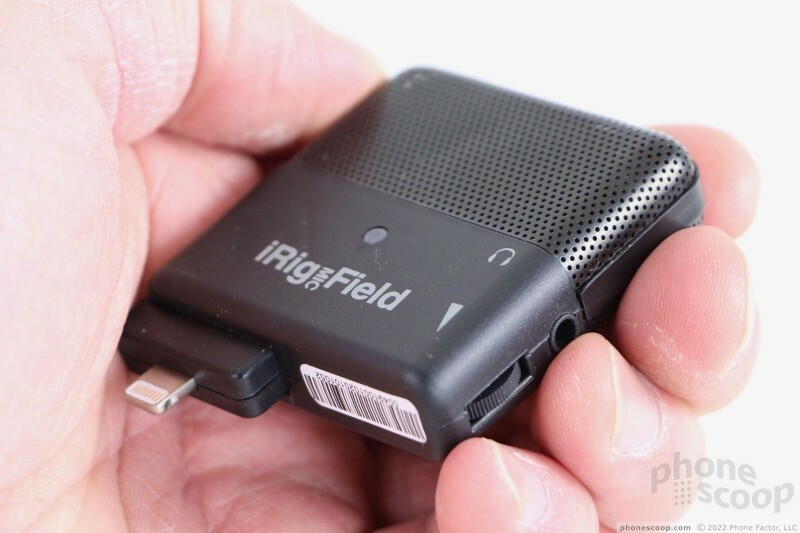 Have you tried the iRig Mic HD with a microUSB cable to connect to Android phones with USB OTG? It should work on phones and tablets with USB audio. Just something to try if you have the proper Micro USB to Micro USB cable or use the USB cable with an OTG adapter. 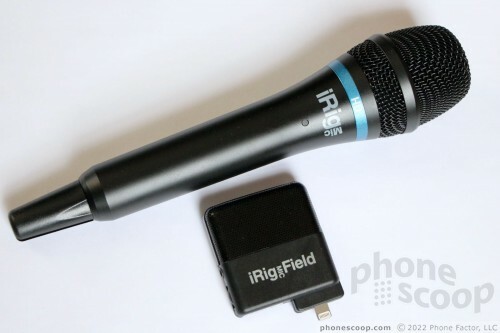 edit: There is an iRig Mic HD-A which has the USB OTG cable included as well as Android software.